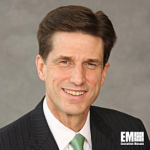 Dana Deasy, formerly chief information officer at JPMorgan Chase, will serve as the Defense Department’s new CIO starting early May, Federal News Radio reported Thursday. Deasy will oversee cybersecurity, data use and communication efforts as DoD begins to adopt cloud platforms to help accelerate the decision-making process on the battlefield, Dana White, a spokeswoman for the Pentagon, said during a press briefing Thursday. “He will also bring greater accountability to the department’s information security posture,” White added. Deasy moved to JPMorgan in 2013 from oil company BP, where he served as CIO and vice president with oversight on global procurement and information technology. He also held senior IT positions at several companies such as Siemens, General Motors and Tyco. Deasy will take over the role from Essye Miller, DoD’s deputy chief information officer for cybersecurity who has been serving as the Pentagon’s CIO on an interim basis since December.